The user guide for animated mesh objects (code name Animesh) is available on the Second Life Wiki while the project is still in development. See Animesh User Guide on the Second Life Wiki for more details about animated mesh objects. 2500 prim on Estate land at Excalibur! Saving textures Texture icons Alpha channels How to use alpha channels and get clothing templates Saving textures You can export any fully-permissive texture from Second Life and save it to your hard drive (or other storage medium). Fully-permissive means you must have ALL Modify, Copy, and Resell/Give away (transfer) rights for the texture. You can check this by right-clicking a texture in your inventory and selecting Properties. Example of a fully-permissive texture: By default, textures you upload yourself, whether it's via File menu > Upload Image or the Snapshot Preview's Save to your inventory (L$10) mode, are fully-permissive for you. So here's how to do it: Double-click the texture in inventory to view it. Go to File > Save Texture As. Give it a name (it doesn't auto-copy the name of the texture), and save it to a directory. If you go to that directory on your computer, you should see a texture.tga file. The TGA file format can also be used to upload textures into Second Life. Most graphics editors are capable of viewing TGA, and there are some free ones, like FastStone or XnView, which can convert into other formats too. This video tutorial shows you how the above steps work in action: Save textures to disk from Torley on Vimeo. In any case, once the texture's on your local disk, you're free to edit it, then re-upload it back into Second Life if you want. You can upload them to a photo-sharing website like Flickr, which has a lot of Second Life pictures in many groups. Texture icons All textures have two icons, and they function the same, but the icon denotes how the texture got into Second Life. If you use File > Upload Image, the resulting texture has this icon and ends up in the Textures folder () and looks like this: And if you take an inworld snapshot (Snapshot button, choose Save to your inventory ($L10), then click Save (L$10)), the resulting texture has this icon and ends up in the Photo Album folder () and looks like this: One other difference is, if someone else sends you a snapshot with the latter icon, it'll end up in the Textures folder. Alpha channels Transparency information in TGA and PNG textures, which can be uploaded with the Second Life Viewer, is stored as a grid of grayscale data called an alpha channel. The alpha channel's pixel values, ranging from black to white, determine the texture's degree of transparency. Transparent textures are used to create organic shapes such as flames, trees, clothing with ripped fabric — just about anything where visibly boxy dimensions are undesirable. How to use alpha channels and get clothing templates Different image editors have different specific implementations. Consult your preferred paint program's manual for guidance, and try to find knowledgeable people who have created the kind of image you want to make. Most image editors have forums or other social networks dedicated to getting the most out of their product. Alpha channels are a critical part of advanced clothing creation. 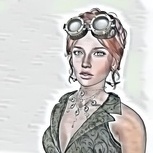 The Texture Tools and Clothing Tutorials pages are good resources to help you get started. For more information, see the SL Creation Forums and Second Life Answers. Creating and uploading animations Uploading animations into Second Life Using animations Using QAvimator to create animations Creating and uploading animations An animation is a set of instructions that causes an avatar to engage in a sequence of motions. You can create custom animations with commercial and open source tools such as Poser, Blender, and others. Important: Animations should not be confused with gestures. For information about gestures, see Using gestures and animations. Residents have created several animation applications especially for Second Life: Posemaker - see forum discussion. QAvimator - see forum discussion (and see below). Slat - see forum discussion. Uploading animations into Second Life To upload an animation into Second Life: Save the animation in biovision hierarchy (BVH) format Choose Build > Upload > Animation (L$10)... in the Second Life Viewer. There is a L$10 fee for uploading an animation. For more information on uploading an animation, see Uploading assets. Using animations You can use animations in gestures, but don't confuse the two. To activate an animation in your inventory, double-click the animation name. This opens a dialog box with the animation name, a field in which to see or enter a description of the animation, and two buttons: Play Locally allows you to see the animation, but it will not will be visible to others. This is useful to make sure the animation is really something you want others to see your avatar doing. Play Inworld allows those within visual range to see your avatar perform the animation. Using QAvimator to create animations The video tutorial below explains how to create and upload animations using QAvimator, a free program for creating animations specifically for Second Life. Note: This video was created in April 2008 and may contain outdated instructions for the current Second Life Viewer. Creating & uploading animations from Torley on Vimeo. Normal maps Specular maps Advanced techniques and technical details Normal and specular maps in Second Life are texture layers that convey additional rendering information to the graphics engine. This additional information is used in conjunction with standard "diffuse" textures to add a whole new level of detail to otherwise flat surfaces without drastically increasing either land impact or graphical or server lag. Tip: Applying a normal or specular map to an object does cause the object's land impact to be calculated using the standard land impact parameters rather than prim count. However, the maps themselves do not contribute to the land impact rating. Normal maps Normal mapping is a method of simulating the lighting of bumps and dents on an otherwise flat surface, creating the illusion of a physically detailed surface. In Second Life, this technique can be used to add detail to a geometrically simple object without significantly increasing the object's land impact or sacrificing graphical performance. The normal map itself is stored as a texture, with the red, green, and blue values representing the X, Y and Z coordinates of the surface normal. To apply a normal map to an object you own in Second Life: Right-click the object and click Edit. Click the Texture tab in the Build Tools window. Click the Texture (diffuse) dropdown menu and select Bumpiness (normal). Click the box above the word Texture to open the Pick: Texture window. Choose a normal map texture from your inventory and click OK. The normal map is applied to your object. Specular maps Specular mapping is a method used to define the shape of shiny or reflective areas on a surface. For example, if a textured surface represents a wooden box with metal parts, a specular map can be applied to define only the metallic portions of the texture as shiny. In Second Life, specular mapped surfaces reflect light cast by either the sun or local lights. Specular maps are stored as RGBA textures; The reflected color is tinted by the RGB value (a red specular map reflects white light as if it is red), and the alpha channel conrols the intensity of the reflected environment map. To apply a specular map to an object you own in Second Life: Right-click the object and select Edit. Click the Texture tab in the Build Tools window. Click the Texture (diffuse) dropdown menu and select Shininess (specular). Click the box above the word Texture to open the Pick: Texture window. Choose a specular map texture from your inventory and click OK. The specular map is applied to your object. Increase Glossiness to increase the reflectiveness of your specular mapped area; increase Environment to increase the intensity of the reflected environment map. Glossiness and Environment are also modulated by the alpha channel of the specular map. Tip: If you want to access the Glossiness, Environment, and Color controls for your entire object without applying a specifically shaped specular map, you may click the Blank button in the texture picker for a completely white texture. Advanced techniques and technical details You can find case studies, advanced techniques, and technical details on Second Life's normal and specular mapping features at the Good Building Practices portal on the Second Life wiki. Prerequisites Cost to upload GETTING STARTED: Uploading your first model Step 1: Choose a model to upload Step 2: Define visual levels of detail Uploading your own LOD files Step 3: Define the model's physics shape Step 4: Upload Options Step 5: Calculate weights & fee Step 6: Upload Bonus section: Rigging options Wearing a model with rigging In other languages: Deutsch Español Français Português Italiano 日本語 Note: This is a basic walkthrough of how to upload a model. For full details on the parameters available for uploading a model, see Model Upload UI reference. Update: Viewer version 3.8.1.303230 modified the mesh importer to (optionally) improve debug output, perform name-based LOD association, and handle models with many materials. For additional information on this update, see the official Second Life Viewer release notes. Prerequisites Before you can upload mesh objects, you must: Have payment information on file. You can add payment information by visiting the Billing Information section of your Second Life account page. Have accepted the IP terms on your account page. If you are planning to use the beta grid (Aditi), you must also accept the IP terms there, but do not need payment information on file. Have at least one compatible COLLADA (.dae) file on your computer. You can create your own by using most popular 3D software packages, or, if you have the appropriate rights, you can download models created by other 3D artists from online repositories. Try our sample content page for a free model if you're just getting started. You may check your mesh upload status at any time by visiting your account page on the Second Life website. Cost to upload There is a Linden dollar fee to upload a model; the fee depends on the model's complexity. GETTING STARTED: Uploading your first model If you're new to uploading mesh models to Second Life, here's a quick and easy set of instructions to get you started. Don't worry about the myriad of controls in the upload window for now; they're for Residents who want fine control over their model's appearance and physics. For a more detailed breakdown of the upload procedure, keep reading below. To upload a mesh model: Choose a .dae file stored on your computer by choosing Build > Upload > Model. If you don't have any models on your computer, you may download some from the sample content page. Preview your model's automatically generated levels of detail on the Level of Detail tab by clicking High, Medium, Low, and Lowest. Notice how the object's complexity is reduced at each level. Click the Physics tab and choose Lowest from the dropdown menu in Step 1: Level of Detail. Step 2 and Step 3 are not required. Click the Upload options tab and check the boxes for any additional features on your model, such as textures. Click Calculate weights & fee, then review the resource weights, land impact, and Linden dollar upload cost of your model. Click Upload to upload your model to Second Life. Tip: To avoid spending Linden dollars while experimenting with uploading models, you may wish to use the Second Life Beta Grid (Aditi). The Beta Grid allows you to test new features and experiment with potentially costly designs in a safe environment, using a copy of your Second Life account. Actions taken on the preview grid cannot affect your inventory or L$ balance on Second Life's main grid. Step 1: Choose a model to upload Second Life accepts COLLADA (.dae) models, which can be edited and created in many popular 3D modeling packages. If you do not currently have any COLLADA models on your computer, you may download some from the sample content page. To begin uploading a model: Choose Build > Upload > Model... Select the .dae file on your computer and click Open. In the Upload Model window, enter a suitable name for your model in the Model name field. If your model includes textures, check the Textures box underneath the Preview pane to make sure the textures are displayed properly. Step 2: Define visual levels of detail Levels of detail determine what your model looks like from various distances. As you get farther away from a model, it renders in less detail to boost visual performance. Second Life generates these lower detail models by default, but you may use this step to tweak each level or even upload your own lower detail models. You can preview your model at any level of detail by clicking High, Medium, Low, or Lowest. While previewing your model at each level of detail, you may change the parameters used for simplifying it from your original model if you chose Generate from one of the Source dropdown menus. For full details on Triangle Limit and Error Threshold, see Upload Model UI reference. Uploading your own LOD files You may upload your own simplified models by choosing Load from file from the Source dropdown menus. You may wish to create your own lower-detail models in order to preserve critical details that may be lost during the automatic simplification process. The mesh uploader uses very strict naming rules for these custom LOD files: File names ending with "_LOD2" must be used for Medium level of detail File names ending with "_LOD1" must be used for Low level of detail File names ending with "_LOD0" must be used for Lowest level of detail File names ending with "_PHYS" must be used for the model's physics shape Additionally, material names must match exactly between each level of detail. Some 3D modeling programs such as Blender automatically change material names to prevent duplication when multiple versions of a model are loaded into the same scene. Material names are sorted alphabetically upon importing a model from the 3D modeling program of your choice, and may not retain the order they had in the original model. If material order is important to your model, you must name them accordingly. For more detailed information on uploading mesh models with multiple materials, see Uploading a multi-face mesh on the Second Life Wiki. Note: If you need to upload an old model that does not conform to these LOD naming rules, you may enable the debug setting called ImporterLegacyMatching in the Second Life Viewer. Access the Debug Settings window by choosing Advanced > Debug Settings from the top menu bar. Step 3: Define the model's physics shape A model's physical shape, as interpreted by Second Life's physics engine for calculating collisions, can be different from its visual shape. For example, you may wish to simplify a very complex vehicle into a square physical box shape, which allows you to have a visually complex vehicle that requires comparatively little physics computation and does not overtax the region's ability to process moving physical objects. You may upload your own physics representation as a .dae file or you may use Second Life's analysis and simplification tools to generate a physics shape automatically. The quickest way to generate a physics model for your object is to choose Use Level of Detail and select a level of detail from the dropdown menu. This creates a physics model based on one of your model's visual levels of detail. Remember that lower physics costs are desirable, so choose the lowest level of detail that reasonably represents the shape of your model. You do not need to complete Step 2: Analyze or Step 3: Simplifiy unless your physics model is extremely complex or shows red lines in the preview window. For advanced information on usage of the physics analysis and simplification tools, see Upload Model UI reference. Step 4: Upload options Before you upload, make sure to include any necessary optional parameters on the Modifiers tab: Scale: Changes the base size of your model. Increasing the scale increases the resource cost. Include Textures: Includes any textures applied to the COLLADA model. The textures are automatically applied to the Second Life version of the model when it is uploaded. Include Skin weight: Includes any skin weight information in the COLLADA model. This option only applies to models that are meant to move and flex with your avatar when worn as avatar attachments. Include Joint positions: Includes joint position information from the COLLADA file. This option only applies to models that are meant to alter an avatar's joint positions when worn as an attachment. Pelvis Z Offset: Changes the vertical positioning of a rigged model. Step 5: Calculate weights & fee When you click Calculate weights & fee, Second Life calculates the download, physics and server weights of your model in order to determine its land impact and Linden dollar upload cost. The base Linden dollar cost to upload is L$10 plus L$10 for each texture applied to the model, and an additional cost based on the complexity of the model. For more information about weights and land impact, see Calculcating land impact. Step 6: Upload When you upload a model, it appears in the Objects folder in your inventory. As with all objects in Second Life, you can then drag it from your inventory to the ground, or you can wear it as an attachment. Bonus section: Rigging options Rigged models allow you to represent your avatar skeleton as a mesh that conforms to your joints and motions. This means that you can wear a rigged model that changes the length and orientation of your avatar's limbs and animates accordingly. If your COLLADA model contains joint position and skin weight information, you can preview how it will look with an avatar's default idle animation by checking the Skin weights box underneath the Preview pane. Wearing a model with rigging You may wear a rigged model by right-clicking it in your inventory and selecting Wear. You may often wish to pair a rigged model with an alpha mask to hide your avatar's normal shape. 1 Overview 1.1 Prerequisites 2 Graphics preferences settings 3 Shadows 3.1 Receiving shadows 3.2 Casting shadows 3.3 Shadows on bumpy objects 3.4 Shadow settings 3.4.1 None 3.4.2 Sun/Moon 3.4.3 Sun/Moon + Projectors 4 Ambient occlusion 5 Depth of field 6 Creating light sources 6.1 Projectors 6.1.1 Limitations 6.1.2 Projectors and shininess 6.1.3 FOV 6.1.4 Focus 6.1.5 Ambiance 6.2 Point lights Overview Enabling lighting and shadows in the Second Life Viewer enables you to display: High quality real-time shadows. Full dynamic lighting for an infinite number of local light sources. Special effects such as ambient occlusion and depth of field. Sky and water environments appear and function the same regardless of whether lighting and shadows are enabled. Note: You must be running Second Life Viewer version 2.7.1 or later to use this feature. Prerequisites This feature requires an OpenGL 3.0-capable graphics card, such as Nvidia GeForce 8600 and 8800, GTX 2xx, or Radeon HD 4xxxx. If your graphics card cannot support the feature, then it is disabled by default, and you cannot enable it. Graphics preferences settings To enable or change your lighting and shadows settings: Choose Me > Preferences. Click the Graphics tab. Click Advanced. Check Atmospheric shaders (under Shaders) and Hardware skinning (under Avatar Rendering). Note: In general, enabling lighting and shadows lowers the frame-rate somewhat; by default the feature is disabled on hardware where the typical frame-rate would be decreased below 10FPS. When Atmospheric shaders is enabled, if your system supports it, you can then enable: Lighting and Shadows Ambient Occlusion Shadows When you check Lighting and Shadows, you can then enable Ambient Occlusion, Depth of Field, and select the desired type of Shadows. To enable Water Reflections, check Basic shaders. Options are "Minimal", "Terrain and Trees", "All static objects", "All avatars and objects", "Everything". Warning: Lighting and Shadows can greatly lower performance and conflict badly with antialiasing. If you crash when trying to enable Lighting and Shadows on an otherwise supported system, disable antialiasing. Shadows Shadows are cast in the direction opposite the sun or moon (or other light source). Shadows start fading away as the distance to the object approaches your draw distance (set in your graphics preferences). Faces far from the camera (more than about 256 meters) will not receive shadows. As they approach this distance, the received shadows quickly fade away. Receiving shadows The following can receive shadows (have shadows cast upon them): Avatars and avatar impostors. Glowing prims. Sculpted prims. Water, ground, and foliage. Particles that are not full-bright (this can produce cool "shafts of light" effects). Full-bright surfaces (opaque or transparent) cannot receive shadows. Key to illustrations in this section: A = avatar B = opaque object C = 39% transparency D = 40% transparency E = 80% transparency F = opaque full-bright object G = alpha texture (per-pixel transparency) Casting shadows Things that can cast shadows: Alpha pixels that are less than 40% transparent. Full-brights, glowies, sculpties, avatars, foliage, ground. Things that do not cast shadows: Alpha pixels 40% or greater transparent. Avatar impostors. Particles. An object that both casts and receives shadows can cast a shadow on itself. For example, an avatar's arm can cast a shadow on the avatar's leg, where appropriate. Shadows on bumpy objects Full-bright bumpy objects render the same as they would with lighting and shadows off. Non-full-bright bumpy objects display realistic lighting for the depth-like roughness of the bump texture, according to the direction of the lighting. Shadow settings In preferences, you can choose to see the following types of shadows: None Sun / Moon Sun / Moon + Projectors None Broadly-speaking, setting Shadows to None looks similar to turning off Lighting and Shadows altogether, except: You experience somewhat smoother lighting from sun, moon, and local lights. Shininess on non-full-bright surfaces looks different. Any number of lights now light the scene simultaneously. Increased accuracy in lighting means that a bright light near a surface may now light nearby points on that surface more intensely than previously. Avatar impostors are lit similarly to non-impostors Sun/Moon Setting Shadows to Sun/Moon causes all qualifying objects to cast shadows and have shadows cast upon them. Sun/Moon + Projectors When you select Sun/Moon + Projectors shadows, objects cast shadows from the light of the sun and the moon and up to two projector light sources. Shadows are only cast from the two most significant projectors in the scene. Point lights never cast shadows. Ambient occlusion You may use shadows settings with or without ambient occlusion. Enabling ambient occlusion causes a subtle darkening of nooks and crannies in shapes. Enabling Ambient Occlusion and setting Shadows to Sun/Moon simultaneously exhibits both effects, with the added effect that shadows are smoother (softer and blurrier). Depth of field Check Depth of field to make objects far from the focal distance appear fuzzy or out-of-focus. Depth of Field On Depth of Field Off Learn more about depth of field — you can fine-tune settings and achieve effects like tilt-shift (miniature-looking scenes), as shown on the login screens. Tip: The depth of field feature can be useful when taking photographs of items for sale inworld and on Marketplace. Learn more about photographing your products. Creating light sources Creating and editing a light source is the same as in previous releases, but the Build Tools provide some additional options when Lighting and Shadows is enabled, as shown at right. The extra options are: Texture-chooser next to the light's color-chooser. Click it to choose a texture for the light. This enables you to create projectors, lights that project a texture. When you select a texture, the following settings then take effect: FOV (field of view) Focus Ambiance The standard light attributes color, intensity, radius, and falloff have the same effect regardless of whether Lighting and Shadows is enabled. Projectors A projector is a light source that casts a directional, textured light similar to that of a slide projector. To create a projector light source, select a texture for it in the build tools. The features of projectors are visible when Lighting and Shadows is enabled. A projector differs from a regular (point) light as follows: It respects the FOV, Ambiance and Focus attributes. It only casts light along its negative Z-axis: the light is directional, and may be pointed at things like a flashlight. Thus, the effect of a projector's light depends on the rotation of the object with the light. The projector's light has the selected texture, tinted with the color selected alongside it, like a slide-projector. A projector's light creates shadows if: You have selected Sun/Moon + Projectors for your Shadows preference. The projector is one of the two closest to the object casting shadows. Limitations Projectors do not project textures onto alpha/transparent faces that have partial transparency. Such faces are lit by the projector as if Lighting and Shadows were disabled. When Lighting and shadows is disabled, a projector behaves like a point light, but it continues to obey the Color, Intensity, Radius, Falloff attributes of the light. This essentially makes it operate like a spotlight. Projectors and shininess A projecting prim reflecting in a shiny surface exhibits a reflection of the prim's projected texture. This is increasingly sharper and brighter, the shinier the reflecting surface is. FOV The FOV setting defines the field of view of the projector, in radians. The field of view is the angular width of the cone of light projected. The possible range of values from 0.0 to 3.0 correspond to widths from 0 degrees to approx 172 degrees (almost a hemisphere of influence). Fidelity of shadows caused by a projector may degrade as the FOV becomes larger. Focus A projected texture appears blurrier the further the projection point is from the projector. The Focus value controls how attenuated this effect is. Positive values keep the projection sharper for farther distances, negative values make the projection start to blur at a closer range. Ambiance Ambiance adds a very blurred version of the projected image to all faces within the cone of influence, regardless of whether they are in shadow or facing away from the projector. The goal is to roughly simulate light influence being diffused in all directions by surfaces receiving a projected image. Thus it is acceptable that this be even brighter on faces facing away from the projector. The brightness of this effect is proportional to the Ambiance value. Point lights Existing in-world point light sources do not cast shadows. Point lights are largely unaffected by the Lighting and Shadows setting, except: The generated light should generally look smoother (less triangular, less delineated, and more rounded in its influence) The generated light may appear brighter on surfaces close to the light source. Lights whose areas of influence overlap may make that area seem lit much more brightly than previously. Every light in the scene will have a cumulative influence on lighting (not just the closest six lights). These exceptions may not apply to light falling upon transparent or alpha-textured faces: faces with a lot of partial transparency appear essentially identical (apart from shadows falling upon them) regardless of whether Lighting and Shadows is enabled. Note: In general, enabling lighting and shadows will lower the frame-rate somewhat; by default the feature is disabled on hardware where the typical frame-rate would be decreased below 10FPS. Supported file types Images Sounds Animation Uploading images and sounds Cost Images Sounds Uploading in bulk Uploading animations Supported file types You can upload several different types of files for use in content creation. Images You can upload the following image file types: *.tga (Truevision Graphics Adapter) *.bmp (Bitmap) *.jpg (Joint Photographic Experts Group) *.jpeg (Joint Photographic Experts Group) *.png (Portable Network Graphics) When uploaded, images are converted into a valid size. Valid scales are square powers of two. To prevent unintended distortion, keep this in mind when creating images. The maximum resolution for uploaded textures is 1024 pixels. If you upload an image that is a higher resolution than this, it will be scaled down to pass the upload requisites. Valid image sizes include the following values: 2, 4, 8, 16, 32, 64, 128, 256, 512, and 1024 Sounds Sounds must be in .WAV file in standard PCM format, 16-bit/44.1kHz/mono or stereo (converted to mono), and less than ten seconds in length. Thus, 9.99 seconds is fine, but 10.0 will fail to upload. Sounds cannot be saved as 8-bit, 22.05 kHz, or any other frequency. Sounds in other formats can be converted in most sound programs. An example of a free quality converter is r8brain. Compression formats such as MP3 are not supported. Animation You can uypload animations in .bvh (Poser 2 or newer) and .anim formats. Recommended settings are ten frames per second. For more information on uploading animations, see How to create animations. Uploading images and sounds Upload your own images (textures), sounds, and animations for use in content creation. Cost Uploading files to Second Life costs L$10 per file. The cost is deducted from your inworld balance, regardless of whether you upload the files one at a time or use bulk upload. The purpose of Bulk Upload is to expedite the upload process, not to save Linden dollars. Images You can upload TGA, PNG, BMP, or JPG files with at least 24-bit color, for quality and compatibility. Files at lower bit depths may fail to upload. PNG (24-bit) and TGA (32-bit) files allow the use of transparent effects (for example, in a stained glass window) via an alpha channel. Most modern image editors can convert between formats. To upload an image: Choose Build > Upload > Image (L$10). Choose an image file. Optionally choose a preview format. Optionally enter a text description. Click Upload (L$10). Tip: When uploading, textures are scaled to the nearest "powers of 2" aspect ratio due to how the system handles textures. If you find this results in unwanted stretching/squishing, you may prefer to use your image editor's built-in resampling to optimize proportions prior to upload. Supported image formats Second Life supports TGA (32-bit supports alpha channel), PNG (24-bit supports alpha channel), and BMP. When you upload an image, the Viewer internally converts it to JPG2000 for optimized future transmission. For best quality, try to avoid uploading JPGs; their already-compressed quality degrades further because of the double conversion. Texture sizes Textures should be as small as possible — texture size is highly context-sensitive so it takes experienced artistic judgment. For example, if you're texture-mapping a tiny pebble, its detail can be negligible compared to a giant tree in the same scene. For general use, 512x512 is a fair balance. The maximum resolution for an uploaded texture is 1024x1024 pixels; if you upload a bigger image, it is scaled down to 1024x1024 pixels. Even if you have a fast Internet connection and a top-end graphics card, your computer can only display a finite amount of texture data. Sounds Sound files must be: WAV files in standard PCM format. 16-bit with 44.1kHz sample rate. Mono format. Stereo format will be automatically converted to mono. Ten seconds or less in length. Formats that don't work include MP3s or WAVs in 8-bit, 22.05 kHz, or any other frequency. You can convert sounds into the proper format using an audio editor like the free Audacity, or a specialized app like r8brain for Windows. To upload a sound: Choose Build > Upload > Sound (L$10). Choose a valid .WAV file. Optionally enter a text description. Click Upload (L$10). This video shows you how it all works: Editing and uploading sounds from Torley on Vimeo. Uploading in bulk To upload more than one file at a time: Choose Upload > Bulk (L$10 per file). In the file browser dialog, select all the files you wish to upload. You can hold Shift ? or Ctrl while clicking to select multiple files. Using this method, you can upload files of different valid formats at the same time. You can also set default permissions for convenience when uploading. Uploading animations You can upload customized animations for use in gestures and scripted objects. This article covers the basic process of uploading an animation. For more information on creating, using, and uploading animations in Second Life, check out the Animation Guide article, and the Animation page on this Wiki. Note: Just like textures and sounds, animations cost L$10 each to upload. Procedure You can upload animations in Biovision Hierarchy (BVH) or raw .anim format. To upload: Choose Build > Upload > Animation (L$10). From the file browser, choose the animation file you wish to upload.' Choose your desired options in the upload preview window, then press Upload (L$10). This video shows you how the process works: Creating & uploading animations from Torley on Vimeo. Note that upload doe not work on windows if the decimal separator is set to comma(,) instead of period(.) in your locale settings. Upload Preview window The upload preview window presents multiple controls that can change the way your animation plays inworld. Click ? in the upper right of the window for a detailed explanation of all the settings. 1 Sculpted prims overview 2 How to create a sculpted prim Sculpted prims overview A sculpted prim is a primitive whose shape is determined by a texture, called a sculpt texture. You can use sculpted prims to create complex, organic shapes that are not possible with conventional Second Life prims. How to create a sculpted prim Sculpted Prims are created and manipulated in a slightly different way than conventional prims. Check out the following steps to create your first Sculpted Prim: Find a piece of land where you can build. Right-click the ground and select Build. Select any type of prim from the tools window (the default is a Box) and click the ground to create it. Click the Edit button and select the Object tab. In the building block type dropdown menu, select Sculpted. Notice how some of the object editing parameters turn into a colorful texture! That texture, called a sculpt texture, defines the shape of the sculpted prim. You can change the sculpt texture by clicking on it and choosing a new texture from the PICK:TEXTURE window. You can change the position, size, and rotation of a sculpted prim by using the edit tools the same way you would with a conventional prim. Note: If you pick a texture that was not intended to be a sculpt texture (like a snapshot, or some wallpaper), the sculpted prim takes on a crazy, unexpected shape we like to call "texture vomit." These crazy shapes won't hurt Second Life or your computer's performance, but they may hurt your eyes! You can find some free sample sculpt textures on the Sculpt Maps and Textures page of the Second Life Wiki. For information on how to create your own sculpt textures for Second Life, check out the 3D Software Guide and the Sculpt Textures in Paint Programs pages of the Second Life Wiki. How to make an object do something How to make a temporary object Where to find scripting help How to make an object do something Linden Scripting Language, also referred to as LSL, is a programming language that allows you to add interactive behavior to any object in Second Life. For example, you can make fire, rain, or snow with particles, doors that open when you click them, lights that move or flash different colors — you can even create an entire game. Learning how to write scripts opens up countless creative possibilities, enabling you to bring your objects to life and make them interactive. A script is a list of instructions that are to be executed in the order they are written. Since these instructions are performed by a computer, they must be written in a specific format and grammar (called a syntax). Learning a scripting or programming language for the first time can be a daunting task; however, if you've used other programming or scripting languages, you should be able to grasp LSL quickly. How to make a temporary object Temporary objects are automatically deleted after a short time. This is great for any short-term object you don't intend to keep. Examples include bullets from guns, physics experiments, or test scripts that involve motion or might otherwise get away from you. To make an object temporary: Right-click the object and choose Edit. Or press Ctrl-3 and click on the object. Open the Object tab. Click More if you don't see it. Select the checkbox next to Temporary. Note: Temporary objects don't count toward your land object or prim limits. Where to find scripting help See our LSL (Linden Scripting Language) Portal, which contains links to helpful resources, including the Resident-run LSL Wiki. 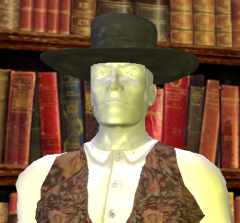 The LSL Wiki is being actively expanded by Residents as a repository for scripting documentation, since any Resident can edit the Second Life Wiki. So if you've got help to give, you're welcome to share your knowledge. Also, see the Scripting and Scripting Library forums (there are Scripting Tips and Scripting Library archives too, for contributions before February 2010). Be sure to check the Event Calendar inworld for scripting classes hosted by knowledgeable Residents! Creating clothing Creating new clothing in Appearance mode Creating new clothing outside Appearance mode Video tutorial Creating tattoos Creating clothing Clothing in Second Life® can refer to two things: Mesh clothing items - These include textures that are baked directly onto your avatar mesh in a specific location and order, as well as customizable settings like length and height. There are 9 types of mesh clothing including shirts, pants, and socks. This article covers how to create this kind of clothing. Objects made of prims - These attach to specific attachment points on your avatar. Many clothing designers make prim skirts, cuffs, collars, and shoes in tandem with mesh clothing to create a richer effect. You can learn more about attachments in our articles on building and attaching items. If an item of mesh clothing is modifiable, you can alter it using the My Appearance editor. Note: If an item in My Inventory says "no modify," it can't be changed. You can create custom textures for clothing using an image editor like Adobe Photoshop or GIMP. There are many ways to do this; visit the Clothing Tutorials wiki page for resources such as templates and guides. Creating new clothing in Appearance mode If you want to use a custom clothing texture, select Build > Upload > Image (L$10) to add it to My Inventory. (It costs L$10 to upload an image.) Right-click your avatar and choose My Appearance. The APPEARANCE window opens. Click the Gear icon in the bottom left corner and select New Clothes. Select the clothing item you wish to create (for instance, New Shirt). The item automatically appears on your avatar. Adjust the sliders until the clothing is the shape you want. Click the Texture box to select a clothing texture from My Inventory, or drag the texture from My Inventory onto Texture. It is applied to your clothing item and becomes visible within moments. If desired, click Color/Tint and add an additional color to the entire article of clothing. Click Save As at the bottom left of the APPEARANCE window. Add a description in the text box, then click OK to save your work. In the Edit Outfit tab, remove any item of clothing you don't want to wear by clicking the X to its left or right-clicking the item and selecting Take Off. Creating new clothing outside Appearance mode Click the Inventory button on the left side of the viewer to open the INVENTORY window. Choose a folder in which to create your new clothing item, for instance, Clothing. Right-click the folder and choose New Clothes > [clothing item name]. Rename the clothing item as desired. To add a texture or otherwise edit the new clothing item, double-click it to wear it, then right-click your avatar and enter the My Appearance editor. Click the Gear menu in the bottom left corner and select Edit Outfit. Click the Edit Wrench icon next to the item you wish to edit, or right-click the item and select Edit. Refer to steps 7-10 above to customize your clothing item. Note: All mesh clothing you make using New Clothes will show your name as the original creator. Modifying clothing made by someone else, even if you change the texture, will not make you the creator. Video tutorial This video visually guides you through the above steps. Creating tattoos You can apply images and textures of your own design to your avatar's skin. However, most avatars use the skin texture layer for wearing custom skins and use clothing layers to wear tattoos. Here we explain how to wear tattoos you have created using both the skin layer and the clothing layers. Tattoos, like other forms of texture transparency in Second Life, require a special part of an image known as an alpha channel. The alpha channel serves as a "hidden color" that shows where to draw the texture and where to remain transparent. One such use for alpha channels would be to "paint" a window into a wall without physically building the window. While detailed image editing and alpha channels are beyond the scope of this article, you can find Second Life's fashion templates and other useful information in the Clothing Tutorials page on the Second Life wiki. If you have a tattoo texture you would like to apply to your avatar, just choose one of the following two methods. Tip: Do not use the first method if your avatar wears a custom skin. To apply the tattoo directly to your skin layer: Import your texture into your Inventory by selecting Build > Upload > Image (L$10). (It costs L$10 to upload an image.) Right-click your avatar and choose My Appearance. Click the Gear menu in the bottom left corner of the APPEARANCE window and select New Body Parts > New Skin. Select the appropriate box: if the tattoo is designed for your face, double-click the Head Tattoo box. If the tattoo is designed for your chest, double-click he Upper Tattoo box. If the tattoo is designed for your legs, double-click the Lower Tattoo box. The PICK: TEXTURE window opens. Select and double-click the desired texture. It appears on the part of your avatar you indicated. Click Save. To apply the tattoo as a clothing layer (use this if you wear a custom skin): Import your texture into My Inventory by selecting Build > Upload > Image. Right-click your avatar and choose My Appearance. Click the Gear menu in the bottom left corner and select Edit Outfit > New Clothes > [clothing item name]. Tip: Tattoos usually work best when created on the undershirt or underpants layer so that they appear underneath clothing layers like shirts and pants. Adjust the sliders until the clothing is the shape you like. Keep in mind that tattoos should be skintight. Click on the Texture box to select a texture from My Inventory. Click on Color/Tint and apply an additional color to the entire tattoo if desired. Click Save As at the bottom left to name and save your work.